We are there for your pet when you can't be! I've always felt animals are as important as people. My life-long devotion to animal well-being brought me to a moment of defining awareness in the year 2000: My service to all animals is the level of care, commitment, connection, and deep respect I bring to them. My delight is keeping them happy, safe and very well cared for (pampered). I search tirelessly for anything I might do to make their lives sweeter. It wasn't until the year 2000 that I realized all these things I'd been doing my entire life had a descriptive title: Professional Pet Care Provider. This realization was the beginning of Tricia's Pet Care. Every day, every moment, as I care for critters and pets, I ask myself repeatedly: "What more could I do to provide this precious being a better existence?" Tricia's Pet Care is a team of Pet Care Professionals. We provide for you in your home. Pet Sitting, Cat and Bird Care, Dog Walking, Overnight and Extended Care, Specialized Care for Senior Pets, Ill Pets and Pets with behavior challenges. 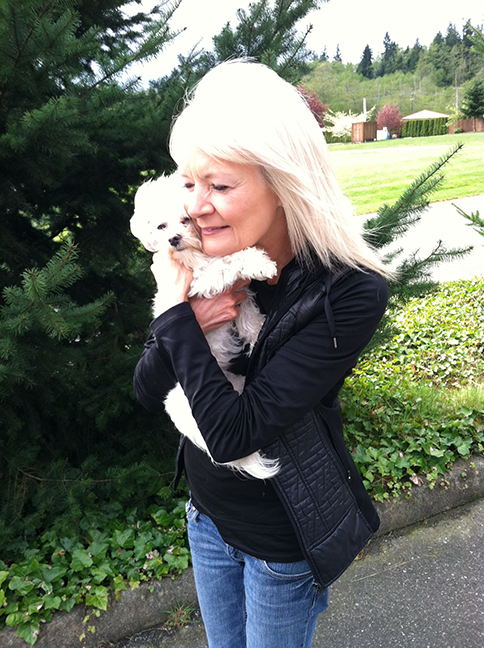 We help you with your new puppy--training and awareness of the needs of a new pup. All outdoor critters and wildlife--we take care of them too!